Genuine sport is noble. So said some poor sap back when you could send someone in chains to Australia for stealing a loaf of bread. Back then, I suppose, times were simpler but the death rates were high, and the laughs were few. Was there really anything noble in competing in a fight which lasted 276 rounds and waking up in the morning with a fractured skull? I doubt it. But even then the Boxing Promoters, those most ignoble of characters, were finding ways to make a shilling off the back of a fighter’s hard graft. And if you think women were exempted from the clutches of promoters, think again. On September 1, 1852, a letter appeared in London’s The Times newspaper by a gentleman who recounts an uproar outside his house while he was taking his breakfast. He put down his toast and went to see what the fuss was out in the field and to his astonishment saw a “mob of men” leading two women who then “stripped to the waist… and fought each other for half an hour.” He asserts this was an “organised prizefight” and he had been told the women were each paid the equivalent of 25p and he also noticed large amounts of cash going into the hands of the organizers. He was appalled. “Bring back the flogging posts,” he wrote. 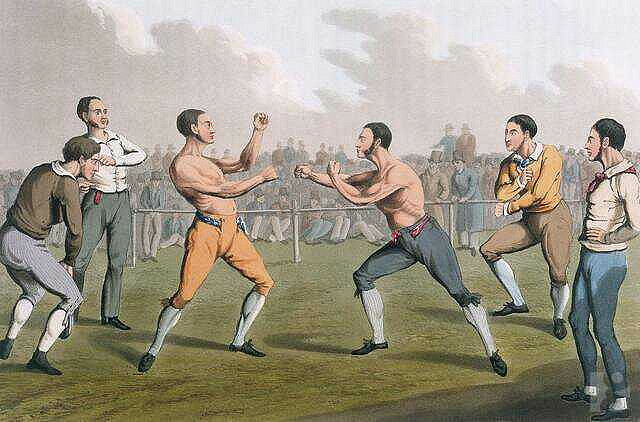 Promoters earning a crust from the blood of boxers is nothing new. But this is nothing new. We all know the smiley-faced boxing promoters of the past have merely aged, died, and been re-born in sharper suits and with slicker haircuts (except for Don King). But even though they’ve been earning a crust from the blood and sweat of brave men (and women) since day one, their gall and greed has recently reached levels of ridiculousness which, for the first time ever, has paradoxically brought boxing into the mainstream again while at the same time threatened to turn it into a mockery. How many times have you seen a decent enough fighter dispatching an opponent who should really be working in a bank? How many times have you sat through a PPV event of such one-sided matchmaking that you threw something at the telly? How can Deontay Wilder get a title shot when his most “impressive” victory was a highly suspect win over Malik Scott? How can Anthony Joshua, a boxer with just ten fights under his belt, and his best win over an ancient Micheal Sprott, be ranked number eight in the world by two different boxing organisations? Why aren’t fighters regularly tested for PED’s? Questions, questions: seems like they’re all we’ve got. Except they’re not. Believe it or not, the whiff of change is in the air, and it smells like roses. And just maybe, the promoters aren’t going to have the last laugh. Wilder batters Nicolai Firth: Tired of blatant mismatches? According to Boxing News in the UK, the World Boxing Council have decided enough is enough. Too much poor judging, too much one-sided matchmaking, and not enough accountability. 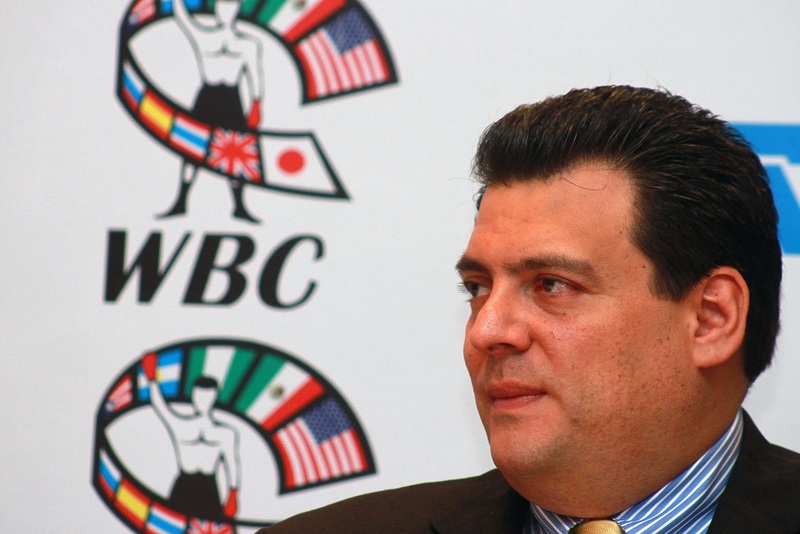 The WBC has announced it is considering a “BoxRec” style points system to rank fighters and prevent mismatches. Hooray for no more sights like Deontay Wilder chasing a shop dummy on rollerskates around a ring until it falls over. Other ideas put forward include more rigorous PED testing, something that’s been lacking, especially outside of the UK, and is a known roadblock for some matches. Apparently the WBC has the backing of the IBF and the WBA in all this, with only the WBO not agreeing in principle to the new proposals, which admittedly could be a major sticking point. This news is potentially groundbreaking for the sport, if this actually gets off the ground. 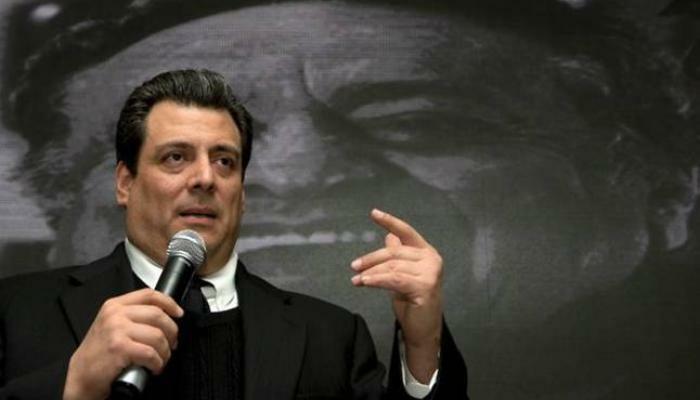 And it’s ironic these measures have been brought to the table by Mauricio Sulaiman, a man who understands the word nepotism inside out and has no doubt seen some dirty play up close and personal. The fact it is the WBC leading the way is both bizarre and praiseworthy. Does a leopard change its spots? Is Shannon Briggs a good dinner party guest? Is there any merit in this when the dust settles? All we know is changes are afoot, at least in the minds of some of the people running our great sport. 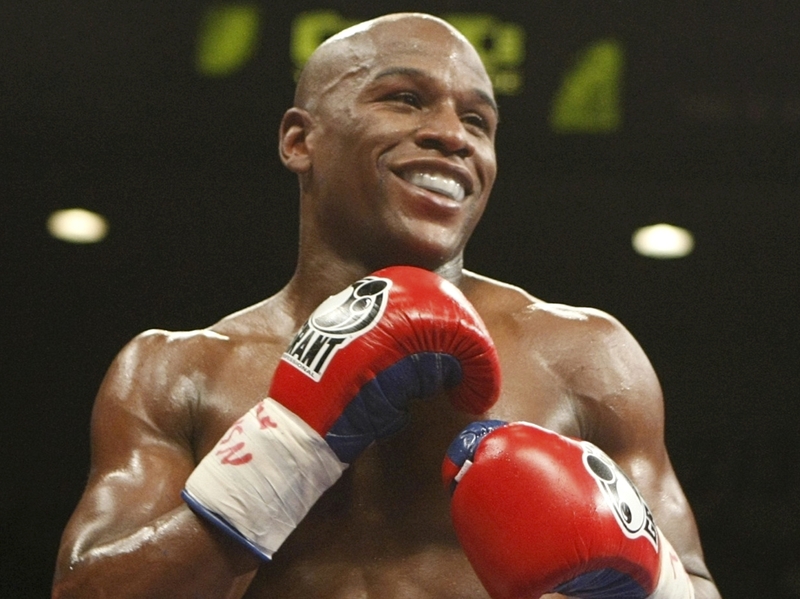 Floyd should be pleased: more PED testing. The irony of the situation is that the WBC have been more guilty than most over the years of creating superfluous “Champion” belts, so Mauricio is going against the grain with what he’s been letting out of the bag. In the cold light of day — and business doesn’t operate in any other lighting mode — these proposals are actually self-defeating for the dollar grabbers in the main boxing organisations. What’s driving this new lurch towards common sense? The cynical among us might say this is just a smokescreen and there is as much chance of implementing these ideas as there is of me marrying Pamela Anderson. Is this just an attempt to placate us and put us at ease while they carry on as they always have? Truth is, nobody knows outside of the Sulaiman inner sanctum and I’m not privy to the smell of money and resin’d leather, or cordite, at least not yet. So the whole story is for now just that: a story. Sulaiman: Does a leopard change its spots? But the time is right to make the sport a bit more respectable and honest and if indeed the proposals are for real they will be welcomed with open arms by boxing’s long-suffering fans. If successful, it will be the first time ever in the history of boxing that the sport makes such sensible changes, and many mobsters and hustlers and ruined fighters will be gnashing their remaining teeth if and when it happens. There’ll still be a place for Don King and his brethren, but if everything goes to plan we could find him weeping gently into his raw meat on a quiet evening. Put that on PPV and you’ll make a killing (no pun intended).